Today has been a perfect day. The high was around 80 and there was a little north breeze. Excellent weather for a little spray painting. I'll show you that project in a day or two. Now I don't have to look at only your friends blog to see what's up. Love the name and your pictures are super. Great big welcome to blog land! I'll add you to my blog roll so people can come visit you. 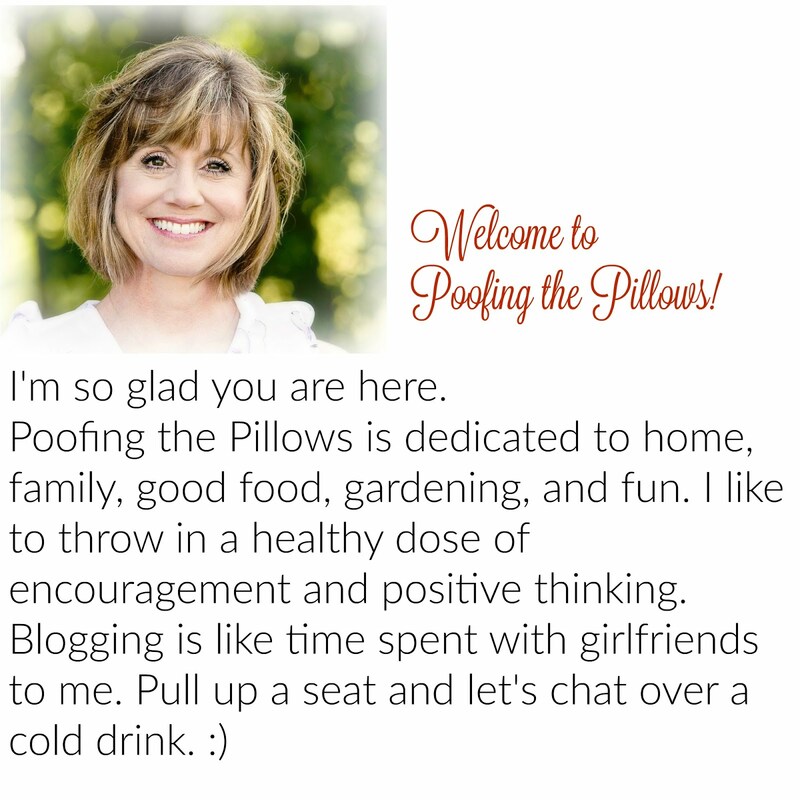 Love the name 'Poofing the Pillows', I do that all the time too. Gotta have great icing! :) Welcome to blogging, it's really fun! Your blog looks great, really cute blog name too. Thanks for visiting me, hope to visit with you again! Yummy!! I know how good your cakes are!! Only 3 plates?? What about me? ?